which doesn't take the size of the page into account. As a result the <div> flows into the "Your flagging history" box. 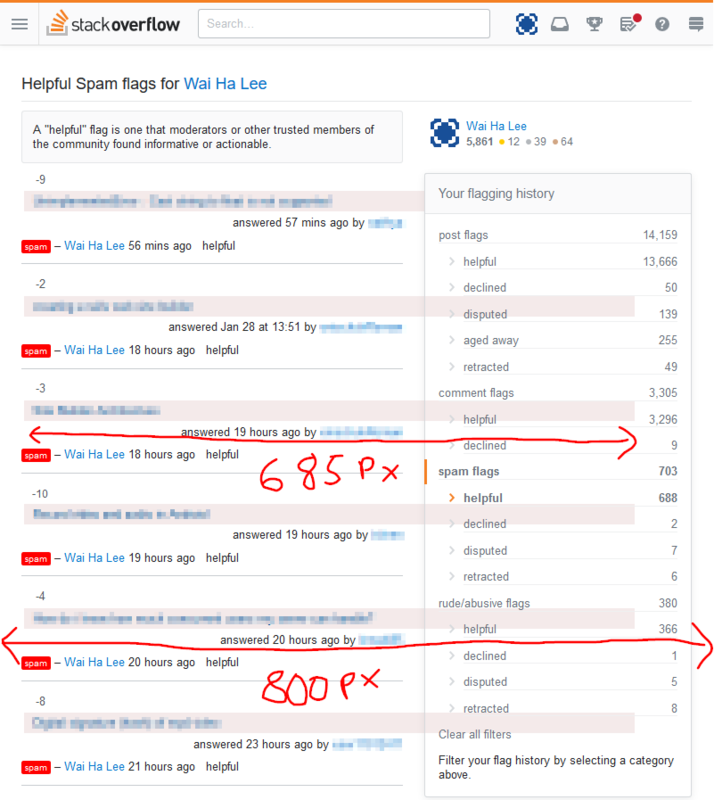 Browse other questions tagged bug design flag-history responsive-design .